News > People > The road ahead – what’s next for HE? The road ahead – what’s next for HE? How do you expect to see the effects of Brexit continue to play out in HE this year? AS: There is likely to be a drop in applications from prospective EU students, due to the uncertainty across the sector. Early signs from UCAS also suggest this. However, overall applications are in fact up here at the University of Buckingham, so any drop in numbers has not hit us yet. We have heard from other universities that academics from the EU are leaving or expressing uncertainty, but this is not something that we are experiencing. JB: Clearly the uncertainty around Brexit presents a number of challenges for higher education institutions but, until we know exactly what shape Brexit will take, we will continue to work with our European counterparts as we always have done. We already have students at Birmingham City University from more than 80 different countries, and we are keen to grow and expand this beyond our current mix. However, Brexit will not change our commitment to offering education to students from across Europe. PM: With the numerous political and economic upheavals taking place in the UK and beyond, I expect to see continued uncertainty both in terms of the future landscape and in the changing needs of students. However, the Migration Advisory Committee’s current review of the role that EU students play in the UK economy and society will bring some semblance of order to a sector undergoing big changes. Universities have rightly expressed growing concerns about the current uncertainty for EU students, and the emerging ‘anti-immigrant’ rhetoric within public discourse is only serving to inflame this anxiety. 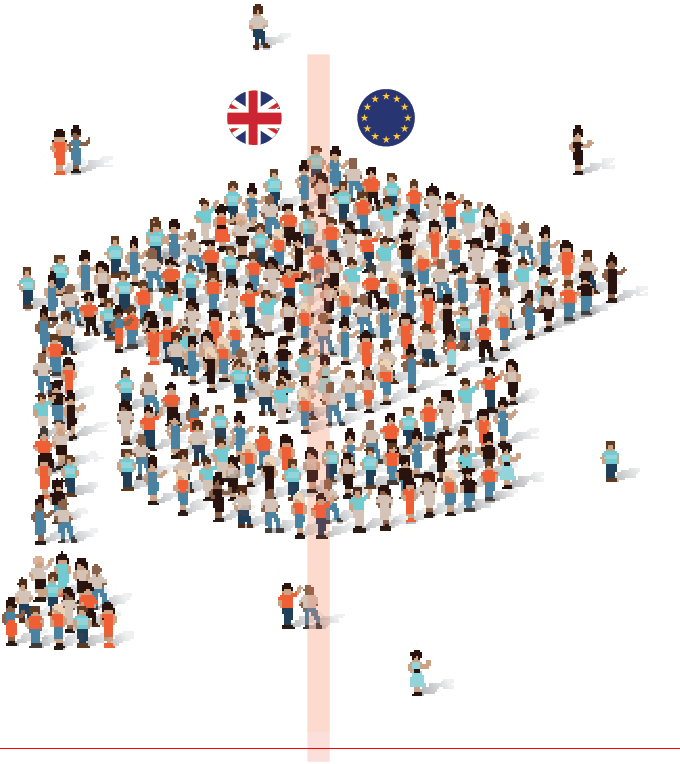 Whilst the potential effects of Brexit on European students may still be unclear for now, it’s worth noting the extent to which this is impacting on some domestic students. According to research as part of UPP’s Annual Student Experience Survey, almost half of first-year students and applicants (45%) say they would be disappointed if there were a reduction in EU and international students at their university. Overall, our research has found that meeting a variety of people at university is an important part of a good, non-academic experience for 43% of first year students and applicants. These results show that students value the opportunities that universities offer for expanding their horizons – and that meeting with students from varying backgrounds forms a significant part of the student experience. Will you be looking to attract more students from other parts of the world as Brexit’s effects are felt? AS: At Buckingham we have always managed to attract students from across the globe, and we will continue to grow those markets as well as continuing to welcome European students. In 2017 alone, our new intake of students came from over 70 countries, and we have over 100 nations represented on campus overall. JB: Brexit will impact in many other ways besides staff and student numbers. Research and innovation funding, regeneration funding such as the European Regional Development Fund (ERDF) and European Social Fund (ESF), all of which universities call upon for a variety of capital and revenue projects – where will we find these in the future? It is my belief that innovative global partnerships are going to be key for any successful university going forward after Brexit. I was recently delivering a masterclass in Eastern Europe with government and university representatives exploring just this topic. When thinking about Brexit, it’s important not to forget that it is not just us looking through our lens at Brexit. It will, potentially, have just as big an impact – both positive and negative – for those on the other side of the lens as well. UK institutions performed reasonably well in the world university rankings during 2017. Do you expect them to sustain this during 2017? AS: While Oxford and Cambridge universities topped the world university rankings last year, there was some slippage among the other leading universities. Universities in other countries are improving, so the competition for high rankings is getting even harder. Brexit will have had no direct effect so far, but it may be that anticipation of it is causing some retrenchment, which in turn is impacting on research output and international outlook, both of which are crucial to these rankings. JB: UK institutions have been well regarded across the globe for a long time, and I think that will likely continue into 2017/18. The mix of research and development, a wide range of partnerships with institutions across the world, and the level of teaching provided all conspire to make UK universities among the best in the world, and our partnerships and relationships are really valued. If we want to secure this position, however, it is of the utmost importance that we get the right approach to Brexit to allow our institutions to continue to thrive. There is no doubt that global competition is not standing still, and we have been seeing many more institutions around the world – for example, in China and across Asia more generally – rising up the league tables following significant investment in their respective higher education systems. Beyond this academic year, if we want to maintain the high-quality research and high level of academic attainment which we are currently enjoying, we must ensure that we are still able to attract the best students and academics from across the globe. And while that position looks secure for the next year, for Europe at least, we must work hard to make sure that this is the case beyond the next 12 months. How will the sector continue to work with the Teaching Excellence Framework (TEF) this year? AS: The sector as a whole will be looking at the results to see what improvements it can make for next time around. We were ranked top in the country in a table published by the Times Higher Education supplement and we were also awarded TEF Gold, the best possible ranking – so we will look at ways of maintaining the excellent standard of teaching offered at Buckingham. JB: The introduction of the TEF has forced universities to react to ensure that they satisfy the requirements of the Framework. As with any new thing, it will probably take a while to fully bed in and for people to get used to the processes involved. But I think we’ll see more institutions start to take on board the feedback they’ve had from the first round of awards, and to embed that feedback into their teaching practices. Furthermore, gathering and understanding data on all aspects of teaching and outcome performance – for instance, graduate destinations – is more critical than ever, as I believe all universities will want to get the best possible ranking in the TEF: and we are certainly no exception. Along with the Research Excellence Framework (REF) and the impending Knowledge Exchange Framework (KEF), the TEF has created a three-pronged measurement of success for every university, however the frameworks are interpreted at each individual institution. Together, these three frameworks are creating a much more measurable, metrics-based environment in university reputations and rankings. PM: The implementation of the TEF has been a steep learning curve for the sector and it’s difficult to overestimate its effect, given that a new educational hierarchy has emerged. The resulting culture shift has seen various universities concentrate their efforts towards raising teaching quality, and I expect this trend to continue. There is, however, still some work to do with building confidence in the TEF as a reliable assessor of excellence, especially from students’ perspective. Our recent Student Experience Survey tells us that applicants are now less likely to be influenced by a good TEF score than in 2016. The overall scores for 2017 show us that 70% of applicants believe that a good TEF rating would influence their choice of university, whilst 20% said it would not influence their choice and 9% were unsure. These figures look different to last year’s results, where 84% believed that a good TEF rating would influence their choice. It’s fair to say that, until recently, the student experience had been unjustly marginalised and undervalued as a key element to a university’s success. For those universities who have not yet incorporated the student experience into their core strategy, the TEF should act as an impetus to do so. Comprehensive efforts to enhance the student experience also have a fundamental impact on the sorts of spaces and facilities we are now designing. Multi-purpose hubs, where students can work together, are a far more common and effective way of creating communities that work, and enhancing that social side of university life that is so important to students. Purpose-built accommodation plays a vital role in allowing universities to roll out the full breadth of their own student experience initiatives, and at UPP we seek to support and supplement these with innovative ideas on new product design and service provision. What lessons learned in 2017 will help us prepare for the year ahead? AS: The university-wide fall in applications seen in 2017 is expected to continue, as the size of the cohort shrinks and attractive alternatives become available. Buckingham bucked the trend with a 20% rise in applications and enrolments, but we must prepare for an increasingly competitive environment. We are looking at all the courses we offer to ensure that we are providing the right courses to suit the market. JB: For me one of the biggest lessons re-learned from 2017 is the extent to which universities are politicised, whether through student fees and funding or Vice-Chancellors’ salaries. However, perhaps the biggest lesson for us to absorb will be the issues stemming from Brexit, which is possibly the biggest issue facing higher education right now. While it was fantastic news that the government committed to funding EU students for the 2017/18 academic year, there is still work to be done in this and other areas such as research and innovation and structural funds. There has been a lot of speculative talk about EU students and academics turning away from the UK following Brexit and we must learn the lessons supplied by the public’s responses, both at home and abroad, in order to ensure that we keep attracting talent to the sector – talent that can help to maintain our education system as one of the most celebrated in the world. PM: At a time of debate over whether higher education delivers value, along with the oft-expressed criticism of institutions as self-reinforcing echo-chambers, universities must work harder to demonstrate the positive impact they have on their local area. Britain’s universities are among the best in the world, distributed across the country and creating pockets of excellence and ingenuity. However, too often our universities act as mirrors rather than solar panels – taking in the best and the brightest and then bouncing them out again, rather than retaining them to add energy and value to the local economy. UPP recently launched a report, Skills to Pay the Bills: How Students Pick where to Study and where to Work, in which we asked students about what more universities can do to encourage graduates to stay in their town of study and help stimulate regional growth. 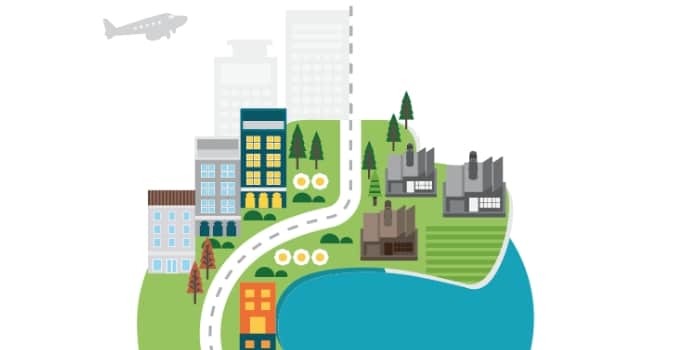 Our research found that more than half of third- and fourth-years plan to move away from their university town upon graduation. Two critical factors driving Britain’s brain drain are a lack of confidence in the availability of good-quality graduate jobs in students’ university cities, and the absence of appropriate housing. Institutions should consider whether they can help to alleviate the housing pressures that drive graduates away from some university towns. Universities provide excellent accommodation for the young people who study with them. That expertise should, in some cities, now be parlayed into graduate accommodation. By building and managing graduate accommodation, universities can provide their graduates with safe, affordable housing as a bridge between student life and working life. Again, this would augment the value that universities offer to students, whilst at the same time improving graduate retention and the civic and economic benefits that this brings. It could also provide a new income stream for academic institutions. What do you expect will be the continuing impacts of the Higher Education Bill? AS: Following the change in legislation, we expect to see new providers coming into the marketplace – significantly, more institutions offering two-year degrees – and we welcome this. We pioneered two-year degrees just over 40 years ago and were recently awarded University of the Year for Teaching Quality by the Times and Sunday Times Good University Guide, so we are market leaders in this area. We have shown that this is a successful model for the future, and we would therefore hope that others can set up their own equally successful courses. JB: The Higher Education Bill will continue to shape how universities carry out their work moving forward, and our institutions must be agile to respond to this. We have already seen the impact that the TEF has had on many institutions and some were clearly surprised by the outcome of the first reviewing process, so there will be a lot of work focused on that particular area. We are also likely to see universities changing how they work with other bodies, such as those in our traditional sphere like Research Councils UK and Innovate UK. Others such as the British Council and Department for Industry and Trade will become increasingly important in ensuring that partnerships, as well as research and development, continue to thrive and that we are making the most of the opportunities presented to us. Do you expect the sector to increase its reliance on digital learning this coming year? What will be the main areas of uptake? AS: We are providing more massive open online courses (MOOCs). Our MOOC on Stonehenge has proved to be very successful, and as a result we will look at what others we can provide. There is still no substitute for excellent face-to-face teaching and learning and we are passionately committed to this – alongside a recognition that our students need high-quality remote access and virtual learning environments. What are your thoughts on the creation, and likely impact, of the new Office for Students? AS: We think that the Office for Students is a positive development, and we look forward to working closely with it. Some worry that there is a risk that it will impinge on universities’ autonomy, which is so crucial to our success. However, the fact is that UK universities of all kinds are already heavily regulated with high levels of quality assurance. This supports the UK’s global position as an HE system trusted by students and researchers all over the world. JB: With recent news stories highlighting many issues which have been raised by students, the Office for Students is to be welcomed as a way of supporting students and ensuring that their views are high up on the government’s agenda. Going to university is a significant and transformative time, particularly for the many young people who tread this path, and if the Office for Students is able to improve their experiences that can only be a good thing. Having said that, while it might be positive for students, I worry that in HEFCE’s transition many of their former activities or areas of focus – such as the role of universities as ‘Anchor Institutions’, or in place-making and shaping – will be lost in other agendas like devolution and the industrial strategy. Also, where they used to provide funding for the HE transformation agenda, piloting and trailblazing through Catalyst funding will fall through the cracks within other bodies and agencies. What are your expectations of the government’s impending review of higher education funding? AS: Universities have benefited greatly in the past few years from student tuition fees and from the generous loan arrangements offered to students. However, these are costing the taxpayer more than intended, and so may have to be reformed. The government is also under pressure to find more money for schools. The coming years are likely to bring a harsher financial climate for universities. They will have to raise much more of their income independently of government funding – as we already do here at Buckingham. JB: Universities are finding themselves increasingly politicised at the moment, and the debate around university funding and fees has probably been the stand-out example of this over the last 12 months. With the two main political parties taking different approaches to this issue, it was not particularly surprising that the Prime Minister should announce a review of the funding given the growing support for some of the opposition’s proposals. It would seem likely that we will see at least some changes introduced in the review. Whether these take the form of a cap on current levels, a newly structured loans and grants system, or the introduction of differentiated fees remains to be seen. The end result could possibly be a mixture of all of these approaches. But, given the politicised nature of the subject at the moment, it wouldn’t be a huge surprise to see changes of this nature proposed.